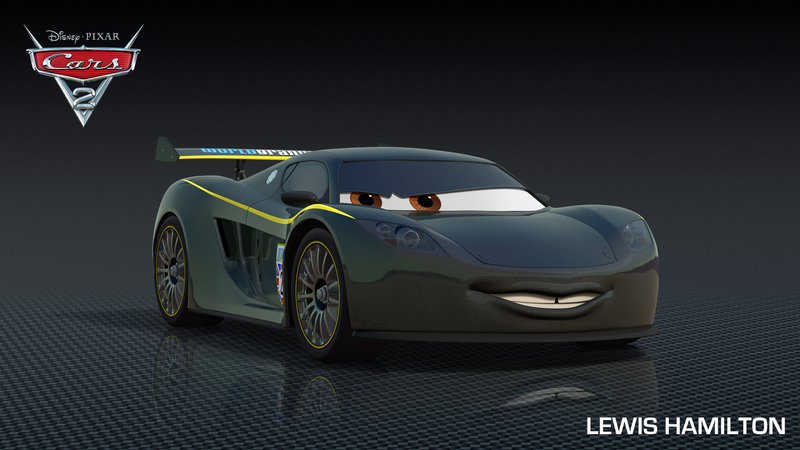 This HAS to be my favourite Cars 2 character rollout so far. The 2011 Formula One season started with a bang yesterday at the Australian Grand Prix in Melbourne and the Disney Pixar timing couldn’t be any better as they unveil the latest character in the Cars 2 family is that of Lewis Hamilton!!! Man I love it! I’m just surprised there is no McLaren badge on there! I am wondering though, after seeing Senna at SXSW and only half the audience (which was probably British) knowing who he was, will anyone know who Lewis Hamilton is? I guess he does date a Pussycat Doll! 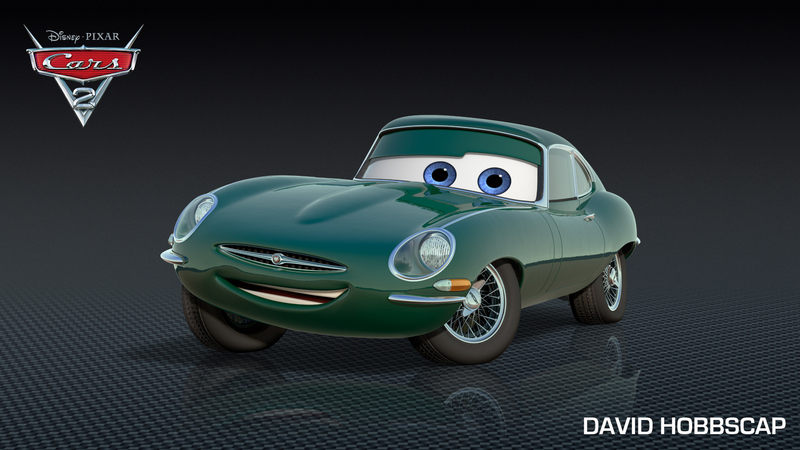 The other character to be revealed today is David Hobbscap voiced by David Hobbs as a sublime E-Type Jag! Anyone want to buy me one?! Lewis Hamilton, the famously sleek and seriously fast #2 Grand Touring Sports champion, has been a determined and winning racer for nearly his entire young life. Like all youngster cars, Lewis spent his childhood going to school, taking karate lessons and winning the British Karting Championship by the age of 10. Today, the celebrated native Brit continues to bring an exceptional work ethic and soft-spoken confidence to the race course where his extraordinary achievements speak for themselves via a spotless track record on the junior and professional circuits. With his striking metallic black and yellow paint scheme, Lewis will represent Great Britain at the World Grand Prix. His car also carries the flag of Grenada, home to his family who emigrated to Britain in the 1950s. His unrivaled technical skills, natural speed ability and cool, karate-inspired attitude make him a powerful contender too. As a handsome forest green 1963 Jaguar Coombs Lightweight E-Type, David Hobbscap, originally from Royal Leamington Spa, England, is a worldwide racing luminary. His 30-year career in professional racing spans the globe and all types of motorsports. Now David shares that priceless knowledge as an announcer, where he’s also well known for providing comic relief during race broadcasts. A former champion with 20 starts at 24 Hours of Le Mans, his storytelling comes from personal experience. Anything but your ordinary television sportscaster, David can’t wait to enlighten and entertain the World Grand Prix audiences.